This cutting-edge collection, born of a belief in the value of approaching `translation' in a wide range of ways, contains essays of interest to students and scholars of translation, literary and textual studies. 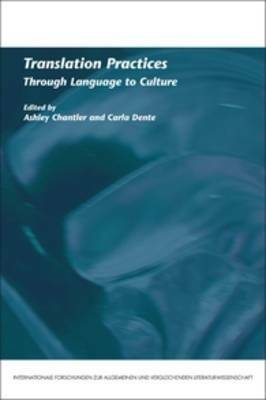 It provides insights into the relations between translation and comparative literature, contrastive linguistics, cultural studies, painting and other media. Subjects and authors discussed include: the translator as `go-between'; the textual editor as translator; Ghirri's photography and Celati's fiction; the European lending library; La Bible d'Amiens; the coining of Italian phraseological units; Michele Roberts's Impossible Saints; the impact of modern translations for stage on perceptions of ancient Greek drama; and the translation of slang, intensifiers, characterisation, desire, the self, and America in 1990s Italian fiction. The collection closes with David Platzer's discussion of translating Dacia Maraini's poetry into English and with his new translations of `Ho Sognato una Stazione' (`I Dreamed of a Station') and `Le Tue Bugie' (`Your Lies').